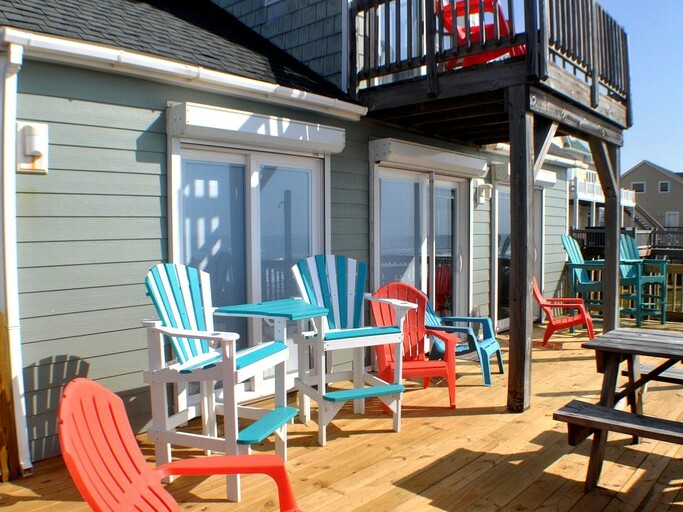 This pet-friendly, oceanfront cottage rental offers a fantastic beach getaway for up to 15 happy glampers and their furry friends. 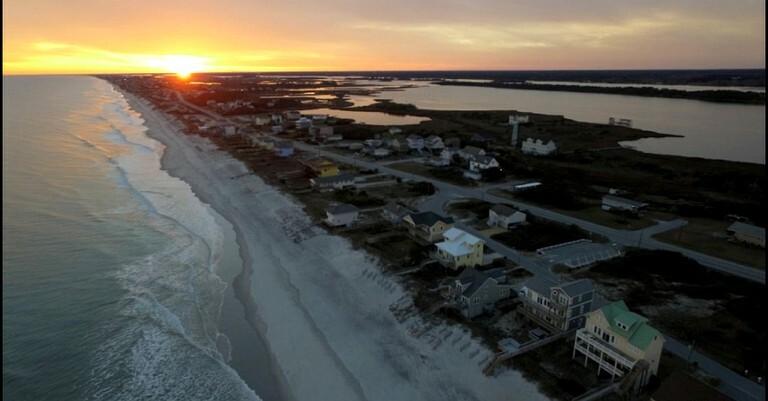 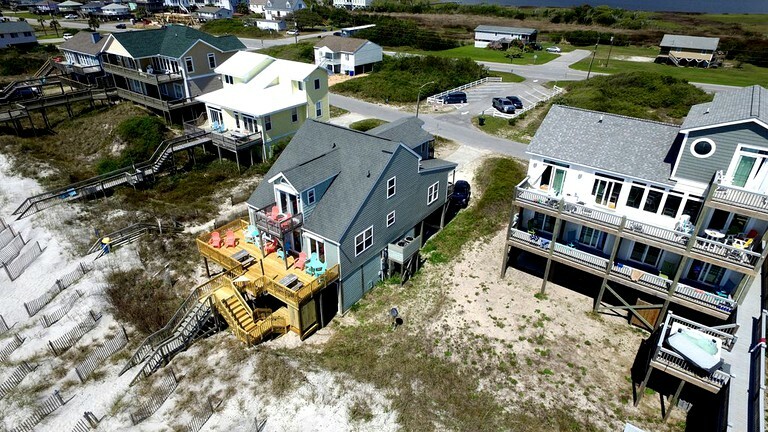 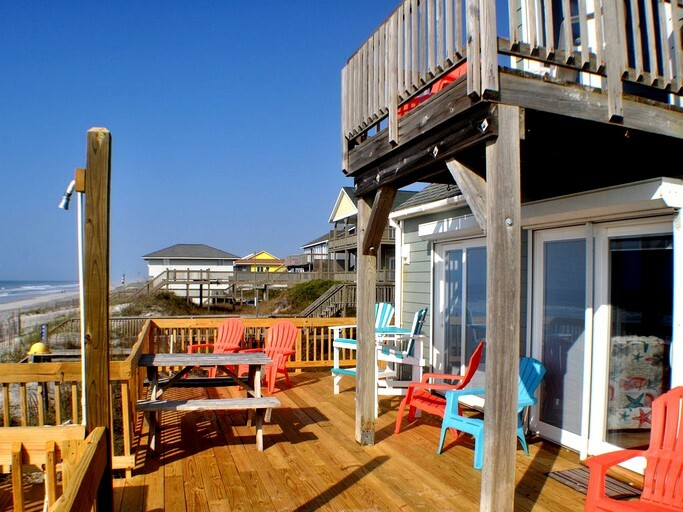 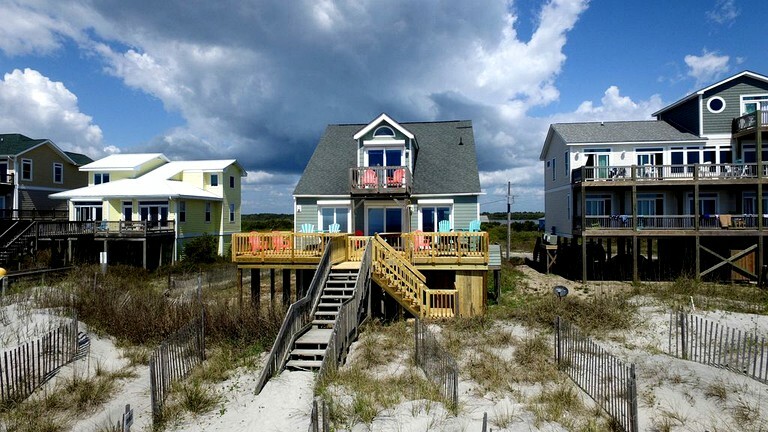 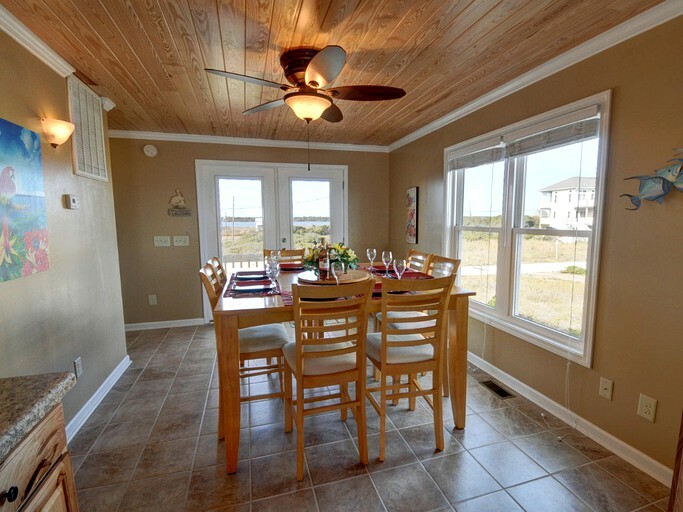 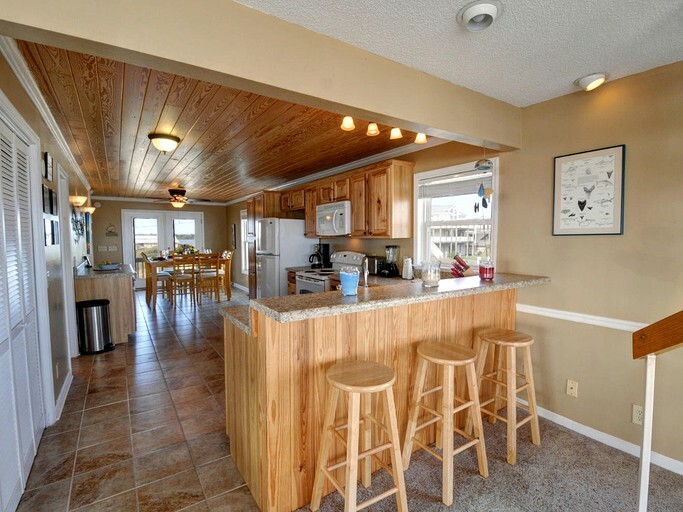 The property sits upon Topsail Island, North Carolina, with fresh sea breezes greeting guests each morning. 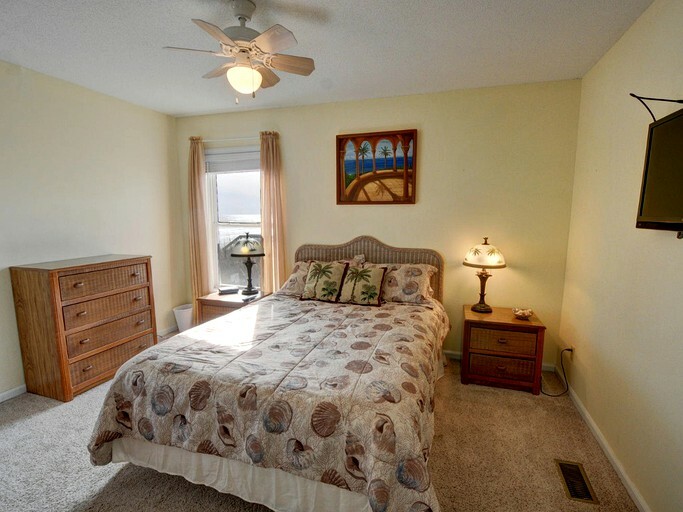 The first bedroom is found on the first floor, with a queen bed, and shares a bathroom with the great room. 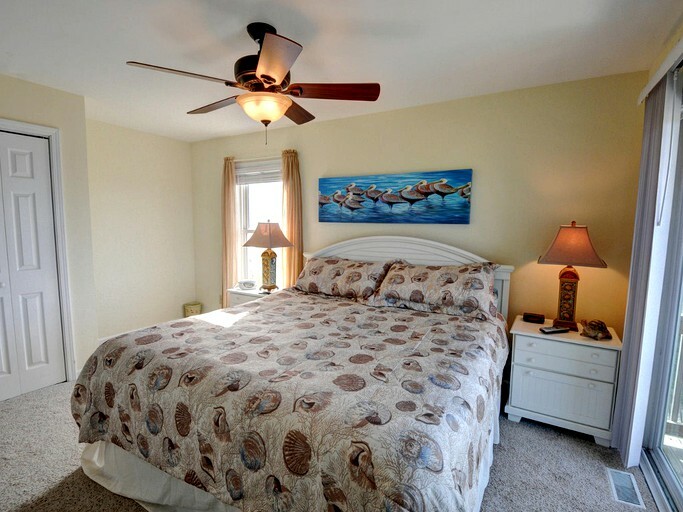 The second bedroom is on the second floor, and shares a bathroom with the third bedroom, itself boasting two queen beds. 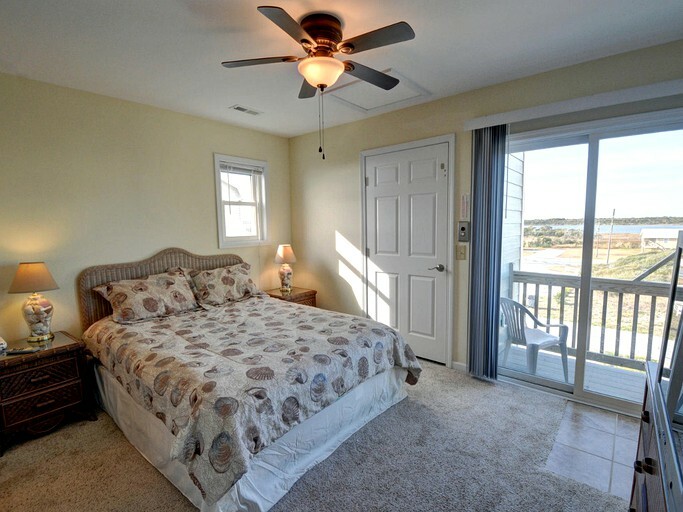 The fourth and final bedroom is the master suite that has a queen-size bed an en-suite bathroom and a private deck with a beautiful view. 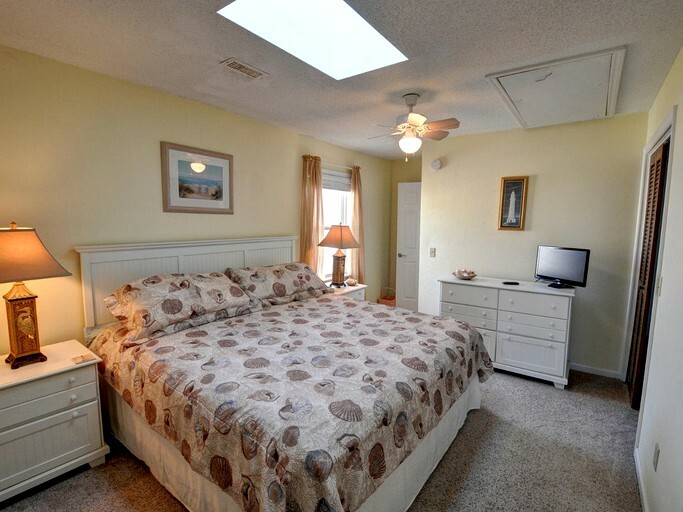 All the bedrooms have been tastefully decorated with ceiling fans, flat screen televisions, telephones, alarm clocks, and comfortable bedding. 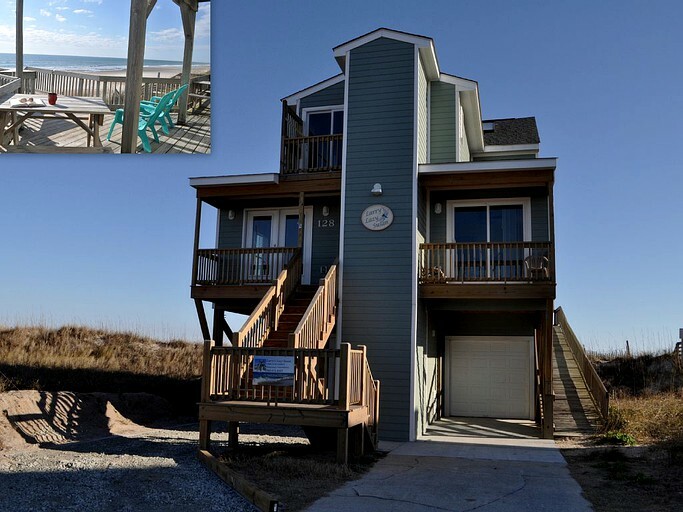 This pet-friendly rental has two stunning decks offering unbeatable views of the Atlantic coast, with the upper deck also having panoramic views over the beach below. 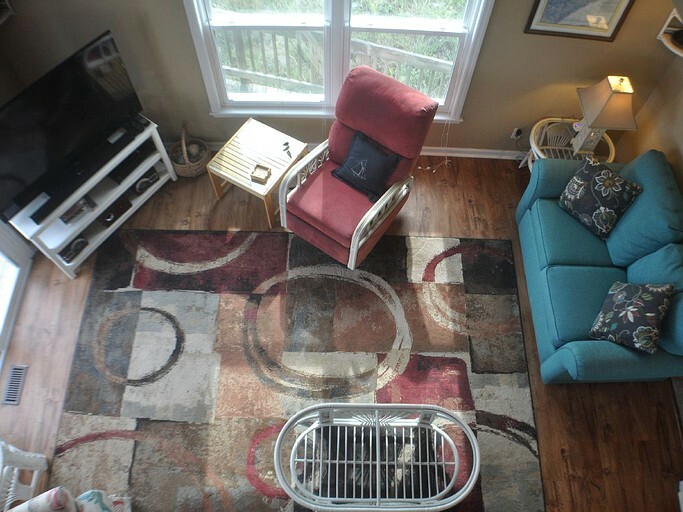 Enjoy sitting up here and relaxing in the warm Carolina sun. 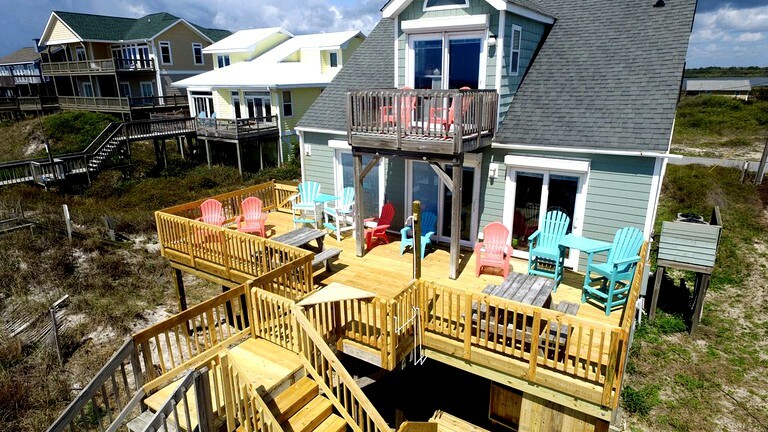 The lower deck offers a cooler, shaded retreat to sit on while watching children play in the sand. 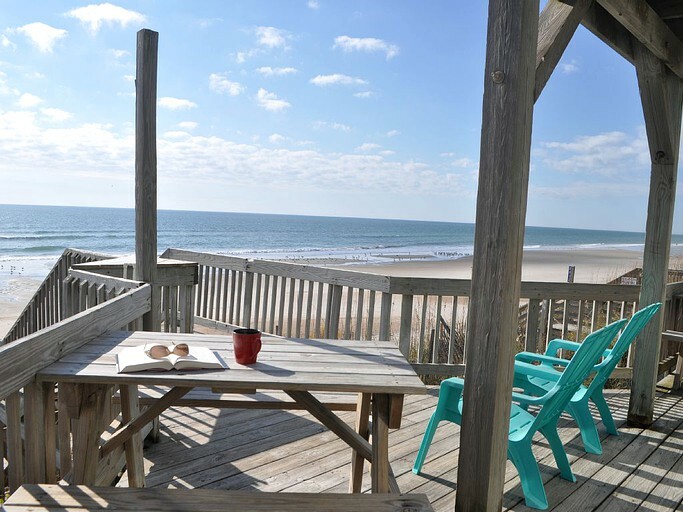 This glamping property has two oceanfront decks with panoramic beach views. 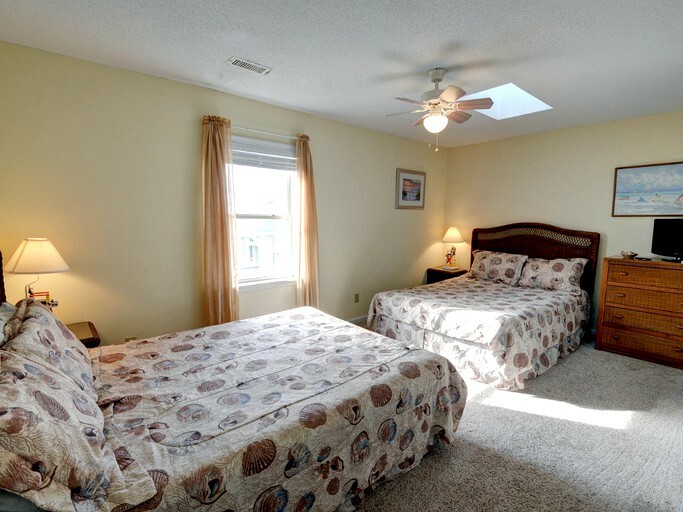 Other amenities include Wi-Fi, ducted cooling and heating, a telephone, a washing machine and dryer, a fitness room with equipment, and more. 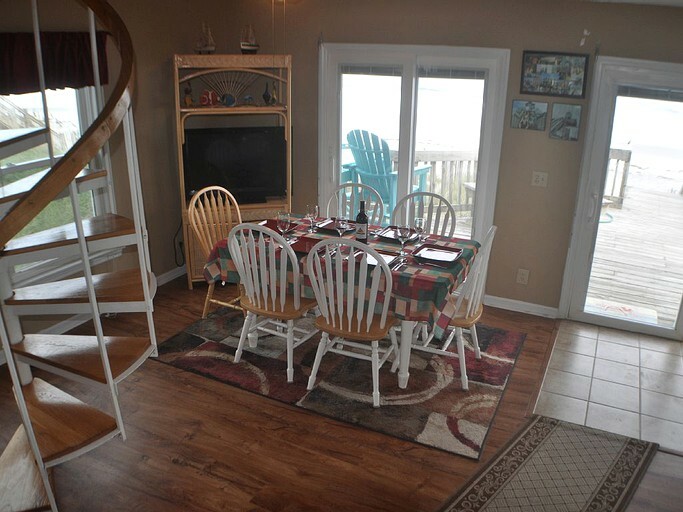 The elevator provides handicapped accessibility from ground level to all floors above with wet weather access from covered parking, and there is also ramp access to the beach front deck from the parking area. 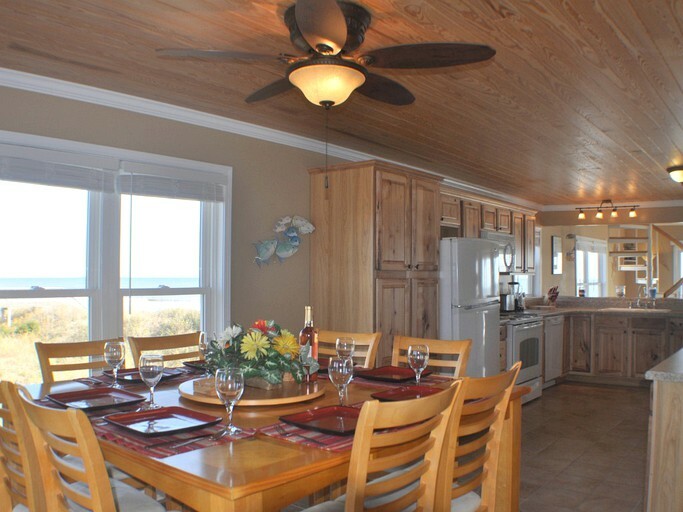 A private chef can prepare meals for glampers in the gourmet kitchen. 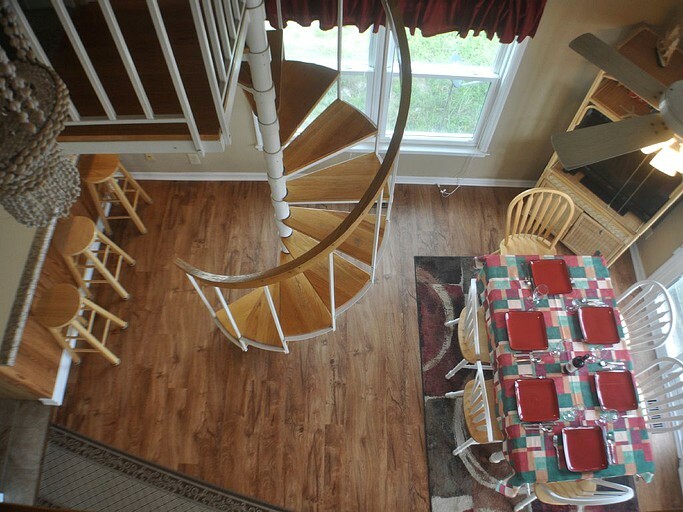 For those who would be interested in this service, please enquire upon booking request. 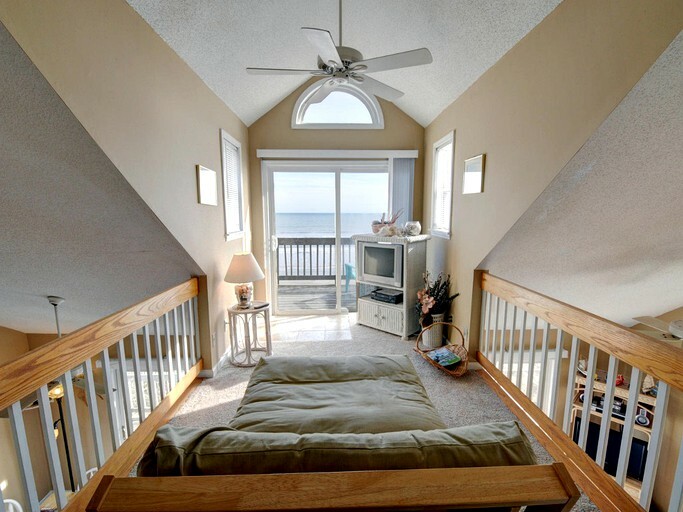 Glampers can wake up to the fresh sea breeze and enjoy a morning coffee on the ocean side deck while watching the shrimp boats just off shore dragging their nets and birds flocking behind feeding on the leftover shrimp and fish. 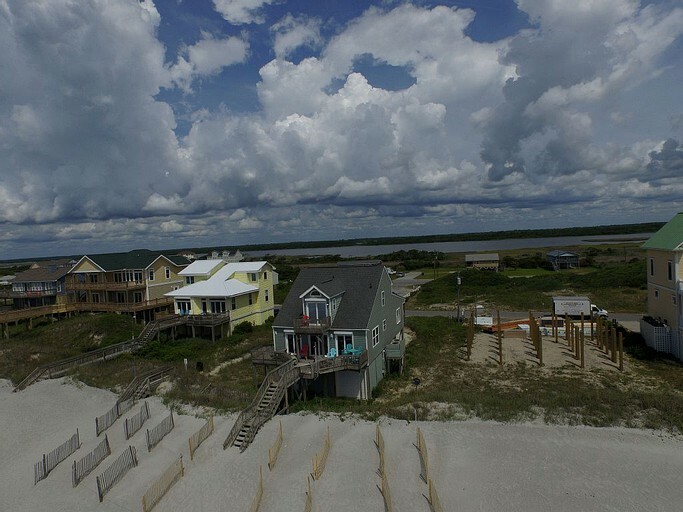 The dolphins trailing behind and the pelicans are floating in formation along the shore is an amazing sight. 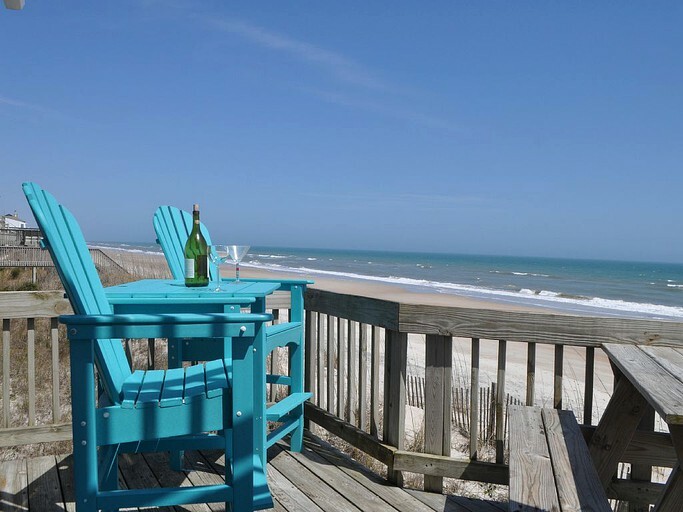 After a walk on the beach looking for shells and sharks teeth, guests can decide to set up their beach chairs and umbrella for a day of sunbathing and swimming in the surf, while also taking a break to play some beach games, volleyball, and fly a kite. 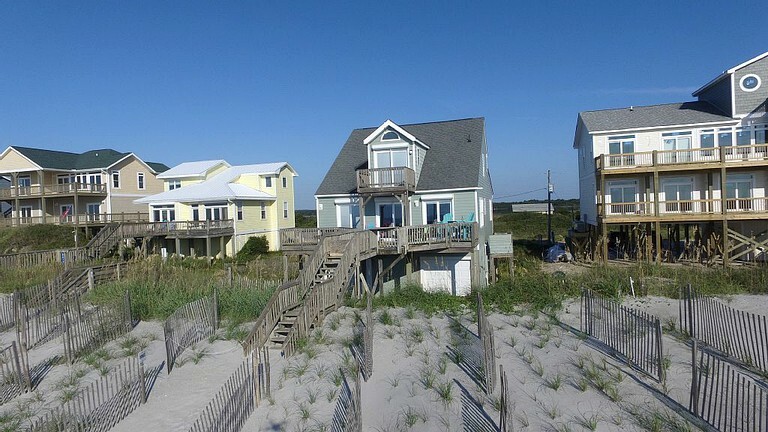 After a fun filled beach day and as the sun begins to set on the sound side, a beautiful view is afforded from the three decks on the street side. 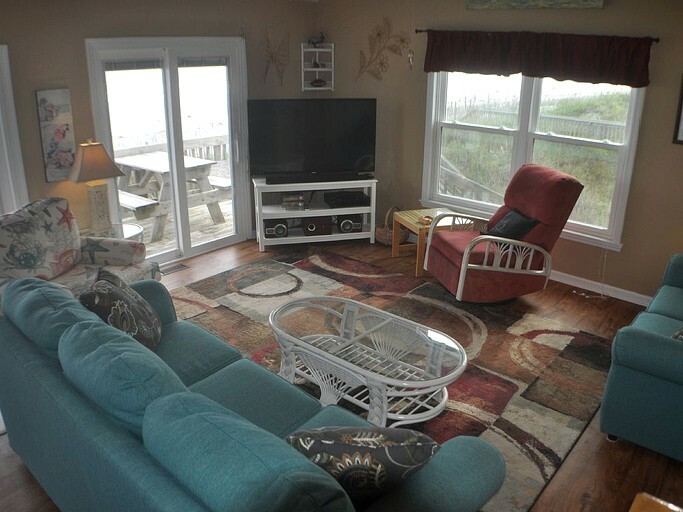 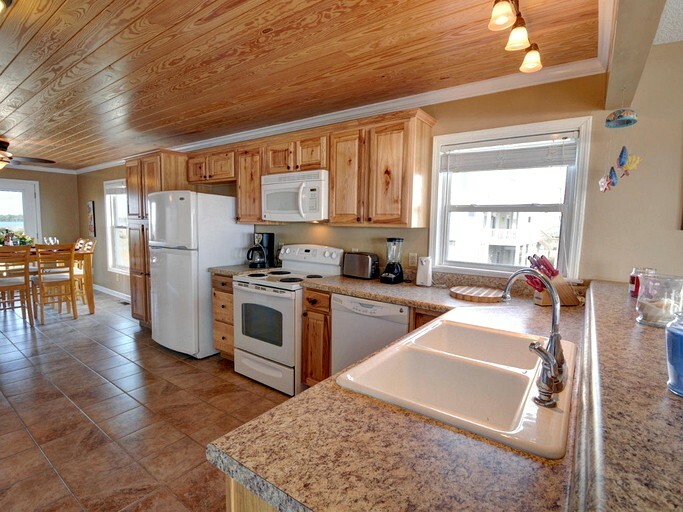 This property is pet-friendly (dogs only, no cats allowed) for an additional fee per pet. 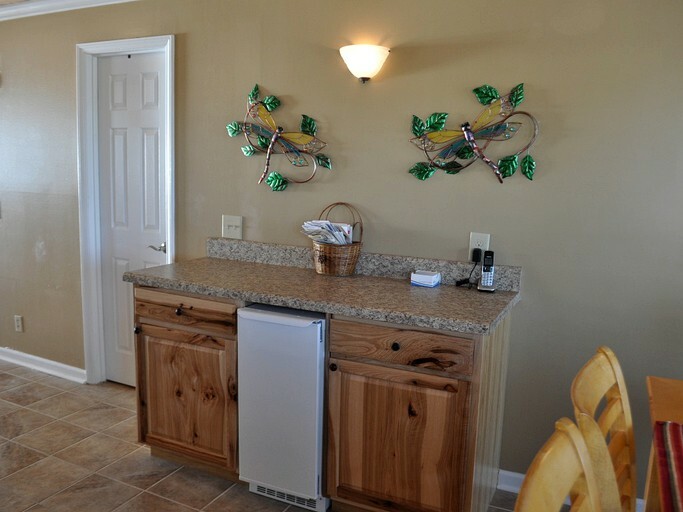 Guests must let the host know when booking if they plan on bringing their pet.